Welcome to Woolly Hollow Farm! We strive to produce quality animals that can compete in the show ring and perform on the farm. 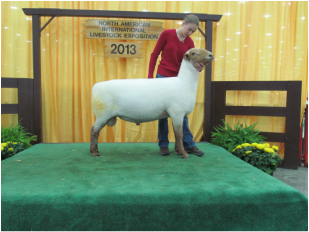 Our emphasis is on stylish sheep that grow efficiently and have good breed character. 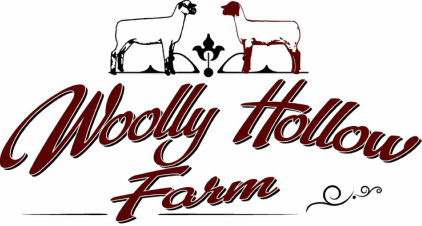 Woolly Hollow Farm began in 1999 as a 4-H market lamb project. Crossbred ewes were added in 2001 so Dana could raise her own market lambs. In 2003 the first registered Hampshire ewe was purchased from Robert Dinsmore, MD. The first Tunis ewe lamb was purchased from Mom’s Tunis, VA later the same year. In the years following we have moved away from crossbreds and currently have only one line left. We have added additional Hampshire ewes from Dinsmore’s as well as Hope’s Hamphires, PA, Hidden Meadow Farm, PA, and Shell’s Hampshires, OH. Our Tunis flock has a strong foundation built on ewes from Mom’s Tunis, with influence from Fingerlakes and Triple S. We maintain a small flock due to space and labor constraints and we currently lamb only in the early spring (Jan-Mar). Currently, our flock numbers 30 ewes, half Hampshire and half Tunis. Our sheep will always have honest birthdates and pedigrees. We are happy to answer questions at anytime. If we don't have what you want or need, we might know someone else who does. Just ask! We are located in Woodstock, Virginia, the heart of Shenandoah County. We are just minutes from I-81 and visitors are always welcome! Give us a call or send us an email- We love talking sheep!